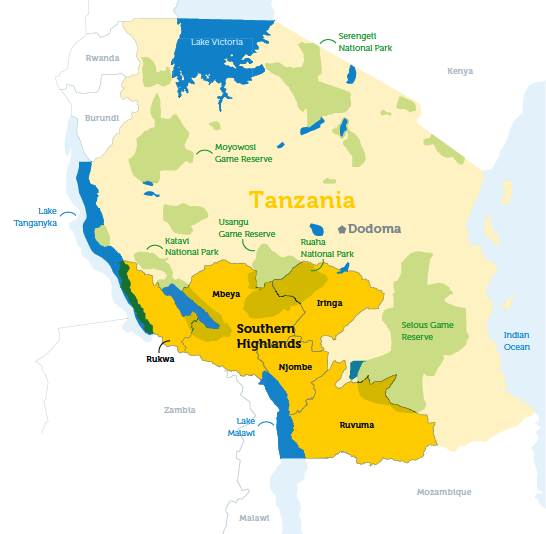 The Southern Highlands of Tanzania are a geographical zone in the South West of the country encompassing the six administrative regions of Iringa, Katavi, Mbeya, Njombe, Rukwa and Ruvuma. The highlands comprise a range of volcanic mountains, partly covered in forest and grassland. They serve as Tanzania‘s main bread basket and experience the coldest weather in the Republic, especially in the months of June and July. The region also experiences the highest rainfall in Tanzania for part of the year. 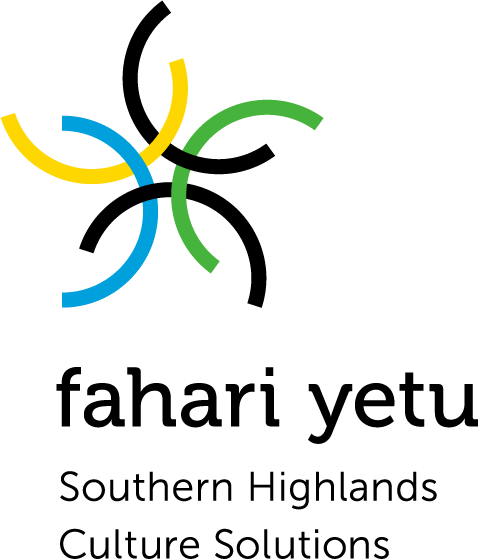 The zone is a tourist attraction with several plateaus, grasslands, the Great Rift Valley, lakes and the TAZARA railway. 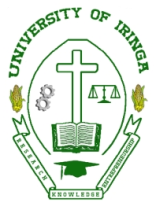 Iringa Region is the administrative region in the Northeast of the Southern Highlands. It has an area of 35,503 km2 and a population of 941,238 (2012 census). 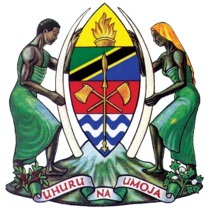 The regional capital Iringa Town was founded in the 1890s after the war between the Hehe under Chief Mkwawa and the German Colonial Army. 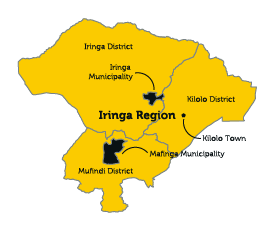 Iringa Region offers a range of tourism attractions, including wildlife (Ruaha National Park, Udzungwa Mountains National Park) and historical/cultural sites (Isimila Stone Age Site, Mkwawa Museum Kalenga), and is currently promoted by the government and the private sector as a major hub for tourism development in Southern Tanzania.